The Board of Directors of Enel SpA, chaired by Piero Gnudi, late yesterday evening approved the Interim Financial Report for the first quarter of 2008. Fulvio Conti, Chief Executive Officer and General Manager of Enel, said: "The performance for the first quarter of 2008 confirm the solidity of the fundamentals of the domestic market, with growing margins in retail business, in infrastructure and networks and in power generation. For the latter in particular, we forecast a full-year EBITDA in line with that of 2007. 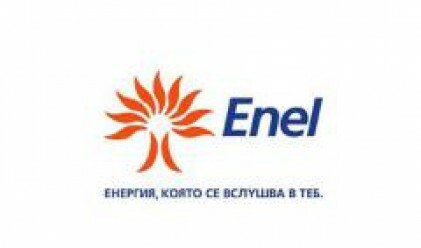 The Enel Group’s electricity sales to end customers in the first quarter of 2008 totalled 70.4 TWh, of which 36.3 TWh in Italy and 34.1 TWh abroad. Net electricity generated by the Enel Group in the first quarter of 2008 totalled 57.9 TWh, of which 23.0 TWh in Italy and 34.9 TWh abroad. Revenues in the first quarter of 2008 totalled 15,082 million euros, a 55% increase versus 9,728 million euros in the first quarter of 2007. The increase reflects the consolidation of Endesa and increased revenues from the domestic free market for electricity as a result of higher volumes sold and an increase in the average sale price. Revenues increased across all Divisions. In particular, revenues of the Iberia and Latin America Division rose from 297 million euros in the first quarter of 2007 to 4,018 million euros in Q1 2008 as a result of the consolidation of Endesa; International Division revenues increased to 944 million euros (+23.9%), while those of the Generation and Energy Management Division rose to 5,573 million euros (+40.4%), those of the Sales Division increased to 6,408 million euros (+14.1%), those of the Infrastructure and Networks Division rose to 1,669 million euros (+20.9%), and those of the Engineering and Innovation Division increased to 309 million euros (+67.9%). EBITDA in the first quarter of 2008 amounted to 3,445 million euros, up 1,113 million euros (+47.7%) compared with the 2,332 million euros recorded in the first quarter of 2007. The substantial increase was attributable to the consolidation of Endesa, as well as the general increase in the margin of nearly all the Divisions. These positive developments were only partially affected by the poorer performance of commodity risk management. Group net income was 1,004 million euros, compared with 943 million euros in the first quarter of 2007, an increase of 61 million euros (+6.5%). The consolidated balance sheet at 31 March 2008 showed net capital employed of 81,978 million euros (79,580 million euros at 31 December 2007), including Net assets held for sale equal to 4,288 million euros (4,116 million euros at 31 December 2007). The net capital employed is financed by the total shareholders’ equity of 24,906 million euros (23,789 million euros at 31 December 2007) and net financial debt of 57,072 million euros (55,791 million euros at 31 December 2007). The latter increased 1,281 million euros (+2.3%) compared with 31 December 2007, mainly due to the acquisition of an additional 22.65% stake in OGK-5 following the completion of the public tender offer and to a temporary increase in working capital. At 31 March 2008, the debt to equity ratio was 2.29, compared with 2.35 at the end of 2007. Capital expenditure in the first quarter of 2008 totalled 1,171 million euros, a 473 million euros increase versus the first quarter of 2007 (+67.8%). The increase is mainly attributable to greater capital expenditure in generation plants by the Iberia and Latin America, Generation and Energy Management and International Divisions. Employees at the end of March 2008 numbered 73,245, a decrease of 255 versus 73,500 employees at 31 December 2007, as a result of new hires and terminations in the first quarter of 2008. On 7 May 2008, the subsidiary Enel Investment Holding and the European Bank for Reconstruction and Development signed an agreement for EIH to sell the EBRD a minority stake of about 4.1% of OGK-5 for a total consideration of approximately 175 million euros at the exchange rate on the date of the transaction.